Maserati has launched the 2018 Quattroporte GTS in India at a price of Rs 2.7 crore. Maserati says that this price is an average figure based on customisation chosen in either of the two variants - GranLusso and GranSport. In its GTS iteration, the Italian four-door saloon gets a 3.8-litre, twin-turbo V8 petrol engine which produces 530PS of power and 710Nm of torque. Mated to the engine is an 8-speed ZF automatic unit, which is clever enough to identify and change its shifting pattern based on the driving style. The setup is enough to propel it to 100kmph from a standstill in just 4.7 seconds and reach a top speed of 310kmph. In both variants, the kit inside the cabin remains identical. The list includes an 8.4-inch touchscreen infotainment system with Android Auto and Apple CarPlay, which can be voice controlled and features WiFi connectivity. For the sound system, customers can choose between the 10-speaker, 900-watt Harman Kardon system or the 15-speaker, 1,280-watt Bowers & Wilkins Surround Sound system. The GranLusso variant is for those who want their Italian sedan to exude luxury. It flaunts a discreet front spoiler, chrome bumper inserts, body-coloured side skirts and GranLusso badges on the wings. The 20-inch Mercurio light alloy wheels with black brake calipers add the icing on top of the cake. The GranSport variant is carved for those who crave for a dynamic outlook. The special exterior treatment includes aggressive looking central front and side intakes, aerodynamic splitters and, the centre spoiler and side inserts finished in Piano Black. An optional Exterior Carbon Package will add the said finishing on the ORVMs, door handles and the B-pillars. 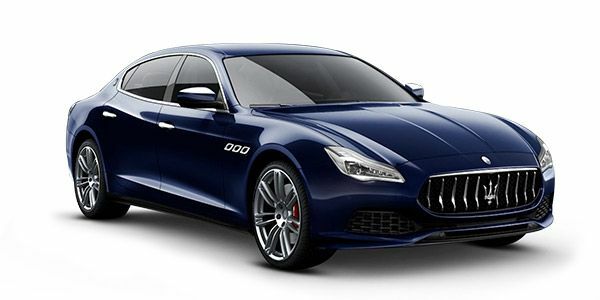 Maserati Quattroporte prices start at Rs. 2.49 crore for petrol and goes upto Rs. 2.51 crore. The prices of Quattroporte diesel variants start at Rs. 1.67 crore and the top-end diesel is priced at Rs. 2.49 crore. Maserati Quattroporte is available in 5 variants and 7 colours. Share your experiences with Quattroporte? The claimed ARAI mileage for the Maserati Quattroporte petrol is 11 kmpl, and for the Maserati Quattroporte diesel is 19 kmpl. Q. What is your opinion for this car? Priced in the range of Rs 1.50-3.20 crore (ex-showroom, Delhi), the Maserati Quattroporte comes with a distinction of a super saloon, offering unmatched luxury and performance experience to select group of discernible buyers. The low-slung nose, stretched hood, curved surfaces, and short overhang endows the Quattroporte with a unique personality. The cabin oozes every inch of an Italian flair and indeed a treat to be in, both at the front and in the back. The interplay of colours and materials seem to belong to another world and the level of craftsmanship is simply superb. Under the hood, the Maserati Quattroporte comes powered by a 3.8-liter petrol and a 3.0-liter diesel engine putting out 523bhp/710Nm and 271bhp/660Nm respectively, both mated to an 8-speed automatic transmission sending the power to the rear wheels of the car. In the Indian market, the Maserati Quattroporte has rivalry against the likes of Aston Martin DB11 and Bugatti Veyron among others.